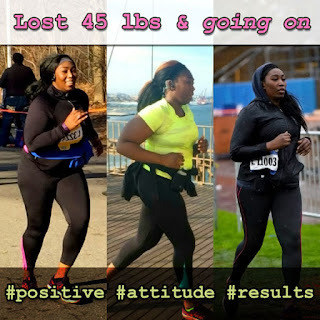 She lost 77 pounds and gained new perspective via her new lifestyle. 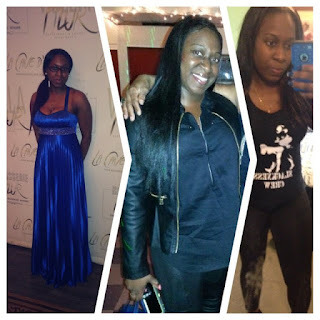 Dr Aron and WeightLossNYC.com provided her with the tools and structure to succeed. Medical weight loss is the real deal: Clinically proven medical treatment that addresses the fundamental components of being overweight. WeightLossNYC™ Physician-Founder Oksana Aron, M.D. will guide you through the steps you need to lose weight fast. 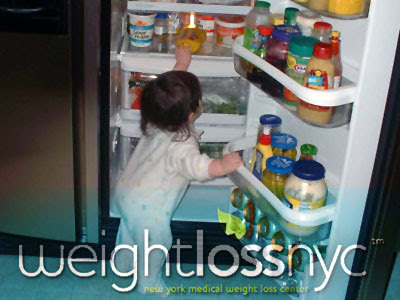 The team at NYC Weight Loss Center are knowledgeable, supportive, and overall, Awesome. With every question I had, they took their time to answer and explain every response with detail! Dr. Aron was present at every one on one office visit and this is very important to me. Through her educated knowledge and her experience, I have lost 77 lbs in ample time. I have gone from a size 18 to a size 12! Dr. Aron has not only implemented a new way of life for me, she has also implemented a new lifestyle. This new lifestyle includes making the right food choices, as well as, influencing movement to reach my goals. My self-confidence has superseded my expectations … I love the new me!! 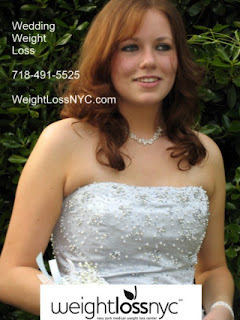 Call Dr Aron Medical Weight Loss Center at 718-491-5525 or visit WeightLossNYC.com and start losing weight fast. The clock only moves forward. What direction do you want to go for the future? Bring to your thoughts what matters to you most: Improving your health, More energy to be with your loves ones. Work with medical weight loss Dr Aron to bring the future you want, closer to you today. “I am grateful for being a part of this team. WeightLossNYC has made me feel beautiful and confident again. I have more energy to run and play with my son. She helped me to control and lower my glucose levels as well as HgbA1C. I started at 168lbs and now weigh 144. Her words of encouragement alone will motivate you to eat better, live better and maintain your weight. Remember to workout even its just a walk in your neighborhood. *Save $16 per bottle of skin cream this month of May 2013 to bring spring to your summer by taking extra care of your skin today. Liposome technology is used to deliver the key ingredients, which include deoxycholic acid, hyaluronic acid, phosphatidyl choline and allantoin. 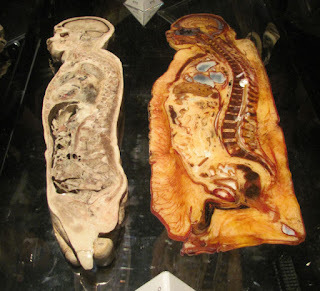 Both deoxycholic and phosphatidyl choline are unique carriers for nutrient transport and fat mobilization. Hyaluronic acid is a naturally occurring lubricant found in the skin and connective tissue, while allantoin is a soothing skin care component. All of these ingredients are encapsulated in a microscopic lipid bilayer vesicle for optimal delivery into the skin. Fill half your plate with fruits and vegetables to accompany each meal. Don't forget to make it colorful: select different kinds of produce in a variety of colors, from apples and cucumbers to sweet potatoes and broccoli. Tip: Eat fruits and vegetables as a healthy side dish and/or dessert. Choose whole-grains for more nutrients and less additives. Tip: Instead of refined, white-flour products, eat tastier whole-wheat bread and brown rice. Switch to skim or 1% milk to lose weight. The lower and no-fat versions contain the same amount of calcium as whole milk, but with less calories and saturated fat. Tip: For a power breakfast, try low fat or skim milk with a high-fiber cereal packed with vitamins and nutrients. Eat smaller portions at home and when dining out. Tip: You can eat with a smaller dish, order a half-size, split a restaurant meal or take home a "doggie bag" to make sure you don't consume too many calories. Stay hydrated (and fuller) by drinking water, which will prevent you from filling up on extra calories. Tip: Avoid additional calories and sugars by skipping sodas, juices and sports drinks. Start implementing healthy habits to lose weight today. 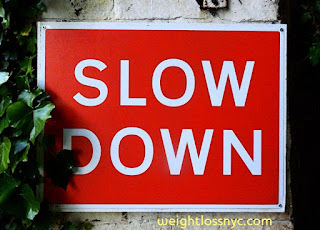 Call WeightLossNYC at 718-491-5525 to schedule your initial consultation. A new weight loss drug for obese patients may soon come available pending FDA approval. The weight loss drug Qnexa was initially rejected by the FDA because of the risk for possible heart problems or birth defects, but an FDA advisory panel recently gave it a recommendation for a full decision come April -- and pushed for a post-approval trial to monitor cardiovascular side effects. There was concern over the increased risk of an elevated heartbeat and birth defects such as an oral cleft occurring in infants born to women on the drug while pregnant. However, two ingredients in the drug phentermine (an appetite suppressant) and topiramate (which makes you feel full) are already on the market today and can be prescribed off-label. 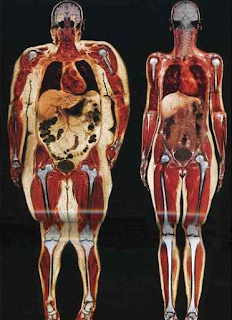 The drug’s maker, Vivus, is seeking approval for a once-daily pill for obese men and women with a body mass index (BMI) of 30 or higher, or for those with a BMI of 27 or higher who also have weight-related comorbidities such as hypertension, diabetes, dyslipidemia, or central adiposity. Vivus shared that the drug can help patients lose 6 to 10% of their body weight and it can also lower their blood pressure. The company also worked on a plan with the FDA to do the following as part of a risk mitigation strategy: include labeling that states the drug should be discontinued once a female patient becomes pregnant, distribute it only through mail-order pharmacies that have pharmacists with specific training on the drug, educating providers and patients on contraception and monthly pregnancy testing, and developing a pregnancy registry to keep track of patients. Choose a safe, non-surgical weight loss program under the guidance of a bariatric doctor and medical weight loss doctor. Mariah Carey looks amazing just a matter of months after having twins. Her fit figure just may have you wondering, How did she do it? Was it safe? What can I do to drop the weight that fast after having a baby? Whether you just had a baby or just have some extra pounds to shed, you don’t need a celebrity trainer or a crash diet to get the same results. Work with Dr. Aron and you can safely and effectively lose and keep the weight off with her medical weight loss program. Caring for a new baby is all consuming, and losing weight is probably the last thing on your mind right now. Enjoy those first few months to bond with your baby, but don’t neglect yourself—or your weight loss goals—during that time either. “It’s very critical that you do get the weight off, because if you don’t it has been associated with overweight and obesity 15 to 20 years later in life,” says Debra Krummel, PhD, RD, endowed professor in the University of Cincinnati Department of Nutrition. If you want to reach a healthy post-pregnancy weight, it’s vital to do so in a healthy manner with the assistance of a medical weight loss doctor. That way you can make gradual progress by following a diet plan that’s monitored by your physician. You not only reach your target weight, you’ll also have plenty of energy stored up to take care of your child. These lose pregnancy pounds fast tips can help get you started. Exercise as soon as you are physically able to (with your doctor’s OK). Even light exercise a few days a week makes a difference. Get enough rest when you can. One study shows that new moms who sleep five hours or less a night were more likely to hold onto their extra pregnancy weight than women who slept seven hours. Contact us once you are no longer nursing. We can help you quickly lose the excess weight gain from your pregnancy. Enjoy your new baby! “Sleep: As important as diet and exercise, only easier,” proclaims the National Sleep Foundation on a refrigerator magnet. How true, yet between 1960 and 2010, the average night’s sleep for adults in the United States dropped from eight hours to six and half. Much has been written about the hazards of this sleep debt. Now new research shows that lack of sleep may also be making Americans fatter. While doctors have long known that hormone levels are affected by sleep, it is only recently that appetite has been linked to this picture. Here’s how it works: The hormones leptin and ghrelin work in balance with each other to control feelings of hunger and fullness. Ghrelin is produced in the gastrointestinal tract and stimulates appetite. Leptin is produced in fat cells and sends signals to the brain when a person is full. When a person doesn’t get enough sleep, leptin levels drop so s/he doesn’t feel as satisfied after eating. At the same time, ghrelin levels rise from lack of sleep, meaning the person’s appetite is being stimulated. This combination sets the stage for overeating which may lead to weight gain. A Stanford University study found that those who slept less than eight hours per night not only had lower levels of leptin and higher levels of ghrelin but they also had higher levels of body fat. Another study by Harvard researchers involving 68,000 middle-aged women found that those who slept five hours or less per night weighed 5.4 pounds more, and were 15 percent more likely to be obese, compared to the women who slept seven hours per night. Lack of deep sleep may also affect a group of neurons in the hypothalamus of the brain, where another hormone, orexin, is involved in regulating feeding behavior. So it may be more than coincidence that Americans have gotten fatter while the amount of sleep has declined. Some people with health or other issues may need medical consultation to address their sleep problems. For the rest of you (you know who you are), turn off the TV, send your last email, stop texting, close your book, and get a full night’s sleep. Your waistline will thank you. Brody, Jane, “A Good Night’s Sleep Isn’t a Luxury; It’s a Necessity,” New York Times, 5/30/2011. How often do you eat when not hungry? Are You Eating to Satisfy Non-Hunger Needs? Dr. Aron admonishes snacking, favoring proper nutritional meals as the signpost to health and happy weight loss. Her prescription for traditional meals favors real table time with place settings and people. Many of the reasons people eat do not relate to true physical hunger. Being aware of physical and emotional needs and eating triggers is a step towards addressing them constructively. Dr. Aron can provide support in learning to address physical and emotional needs in non-food ways. Tend to your health needs. Discuss with Dr. Aron if you have a pain or problem. Follow your treatment plan. Take your medication(s). Drink 6-8 glasses of water per day. 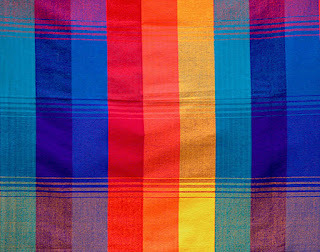 You may need more on hot days, after exercise or eating salty foods, or based on medications you may be taking. Often people confuse hunger with thirst. Get enough sleep. It has been documented that lack of sleep makes some people eat more. Move your body. 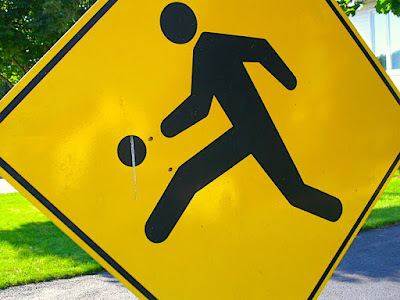 Human bodies are designed to move. After years of cutting back on requirements for physical exercise, the current recommendation is to exercise for a minimum of 30 minutes/day. Socialization. Bike or walk with a friend. Take a class with a partner. Join a softball league. Learn a new dance. Spiritual. Yoga or walking at the beach can feel spiritually satisfying. Fresh air. Take a 20-30 minute walk—even in winter. Choose a sunny or less cold day, bundle up and walk. It clears your head, leaving you energized. Care-taking. Take your children on a hike. Walk or run with your dog. Personal Growth. Try a new sport. Take swimming or tennis lessons. Companionship/socialization. Spend time with people you love and enjoy; connect with them often. Eliminate (or minimize if that's not possible) contact with people you feel bad or stressed around. Time to be alone. This may include sitting in silence for ten minutes per day. Spend time doing what you love. If you can't do this every day, make some time every week. Find constructive ways of dealing with interpersonal conflict. Take a class or read a book on what ails you. See a therapist or other healer if you need support. Identify your stresses and find coping mechanisms. Try new ways of coping if you still feel overwhelmed. "I'm never as good as X"
Healthy eating is a lifestyle choice. A physically and emotionally tuned in you will create more positive outlets and feel less need to overeat. You can lose 10-20 lbs per month safely and easily under Dr. Aron's care and supervision. Her medical weight loss plan is fast and effective, and backed by FDA clinical approval. If you're a current or former weight loss patient of Dr Aron who's lost over 100 lbs, please let us know if you're interested in an Oprah post-weight loss makeover. This is a current opportunity you must act fast to qualify, other criteria required, as per Oprah editor selection process. 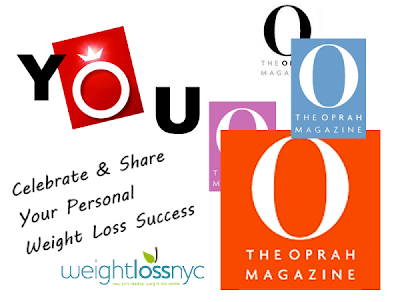 If you're happy and you know it.. share your own weight loss success story on our Weight Loss NYC you tube channel. We're always glad to share motivating stories for your fellow New Yorkers to know what a difference your participation in Dr Aron's weight loss program has done for you. Bloom into a better you this spring at WeightLossNYC™ — We can help! Learn about our safe and easy weight loss plan, supervised by a bariatric physician, a medical doctor expert in weight loss treatment. Start losing weight today! Lose 10-20 pounds per month on our FDA approved diet plan. 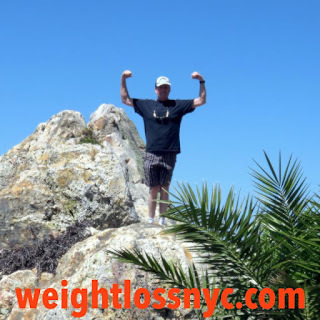 What can you accomplish at Weight Loss NYC? Stop wishing you could be someone else — when all you really wish for is to be yourself. Be the inner you you know you’ve always been. You can do it, and Dr. Aron is here to help. Junk food is not only a hotly-debated topic between moms and children, it's a topic of interest to scientists as well. Researchers at Yale’s Rudd Center for Food Policy and Obesity wanted to find out how popular cartoon characters on the packing influenced children’s snacking preferences, and the results they published in Pediatrics in June are eye-opening. 40 children between the ages of 4 and 6 involved in the study were given 3 pairs of snacks (graham crackers, fruit gummy snacks and carrots). Each pair of snacks was identical -- except the packaging, which either had cartoon characters on it or not. The children were then asked which snacks they liked better, and food items with the cartoon characters were mostly preferred, even though both choices were the same. When presented with the carrots, however, the children weren’t as swayed by the veggies with cartoon characters on them. The findings then urged the restriction of using cartoon characters to advertise unhealthful junk food items to children. It’s also a wake-up call to parents to pay closer attention to such snack items aimed at children with their beloved characters on them. • Obesity rates for children between ages 2 and 5 have more than doubled since the 1970s; among 6- to 11-year-olds, rates have more than tripled. • Food and beverage companies spend more than $1.6 billion in advertising per year targeting young consumers. • Based on the findings, children perceived the food items with licensed characters to taste better than those that came in plain packaging. Would you like to appear on the Rachael Ray show? Popular media mogul Rachael Ray contacted us to help them find guests for an upcoming show about weight loss. 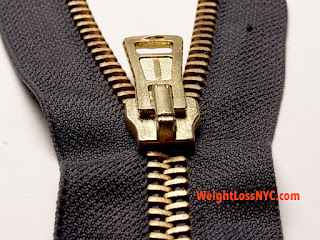 We respect your privacy and offer you the opportunity to request your possible inclusion in the show by calling WeightLossNYC today for details on what is happening with weight loss in the media today.